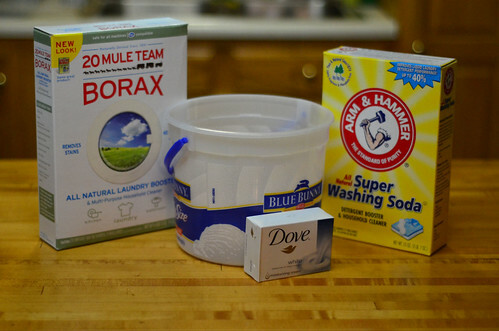 Making My Own Laundry Powder. We go through laundry powder very quickly, last year we decided to start buying eco friendly washing liquid which costs us a little more but is ethical. Recently I felt brave enough to have a go at making my own big batch of powder. It was a great sucess the clothes come our fresh and soft. Some people like to add Natural Borax and use less soda, I mixed the lot in a very large pot and I use a couple of scoops in each wash, its useful for cleaning the cooker top and leaves sauce pans sparkling clean. This batch cost me about £4.50 and last about a month, we are a large family doing about 15 washes a week so I got about 60 washes out of this 7.5pence per wash. I got all the ingredients from my local Savers branch incase you were wondering where to buy these things.